Multiple bridge and road projects has made connections between the two cities almost unbearable. By Steve Annear·	 4/10/2013, 4:01 p.m.
A series of ongoing repairs to roads and bridges along the Charles River is causing a headache for drivers trying to travel between Boston and Cambridge. But if motorists can bear with it, the benefits will pay off down the line, at least according to transportation advocates. As part of the Massachusetts Department of Transportation’s Accelerated Bridge Program, six defunct bridge structures that are showing signs of deterioration are being patched up by the state using federal funds, but they must all be completed by 2016, which has lead to consecutive closures and diverted travel routes. Due to the expedited rehabilitation projects, traffic has been snarled along some main streets as drivers try to pass between Boston and Cambridge. And when additional bridge construction begins this summer, the impact will likely get worse. Reconstruction is underway on the Anderson Memorial Bridge, which directly connects Harvard Square to lower Allston. The road has been diminished to two lanes, one on either side of the road, and has cut off some access for cyclists. The work has also forced the state to limit left turn access from Memorial Drive and onto the bridge, creating an extra layer of issues as motorists try and maneuver through Harvard Square in order to pass to the other side. Flashing signs are set up along access roads on both the Boston and Cambridge sides of the bridge, warning people traveling in cars to expect heavy delays. Soon, additional access to pass between Cambridge and Boston will hamper drivers’ commutes when MassDOT starts the long-awaited rehabilitation of the Longfellow Bridge this spring and into summer. That work will include shutting down outbound lanes from Boston to Cambridge for three years, “with traffic diverted to the Craigie Bridge which is connected to the usually congested Leverett Circle.” According to MassDOT officials, the construction will also mean closures on the Red Line for 25 weekends and limited access for pedestrians and cyclists. On top of all of those projects, the state will also attempt to tackle speedy fix-ups on the Western Avenue and River Street bridges, which connect Allston to Cambridge and allow driver access to Memorial Drive and Soldiers Field Road. 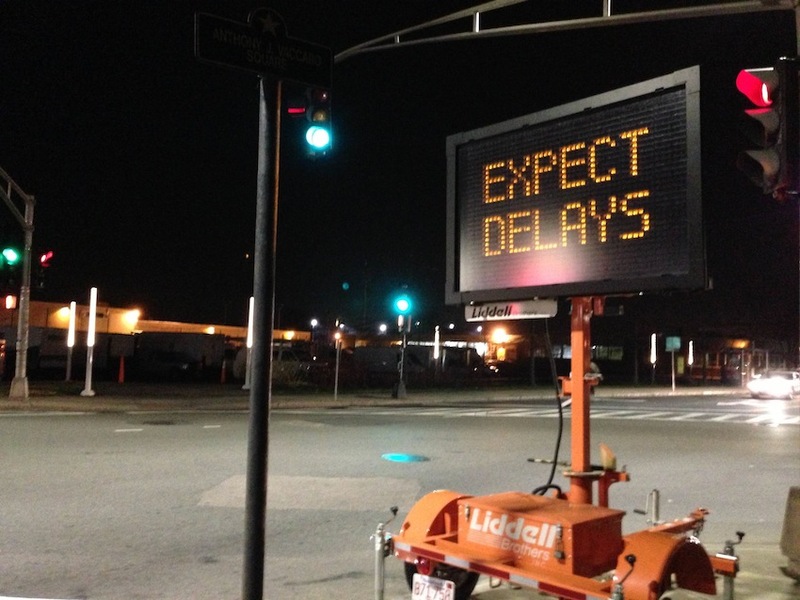 Officials from MassDOT say they have worked with the public to try and soften the traffic blow by completing a “sequencing study” to determine the order of the projects. “As part of the sequencing, we work in coordination with surrounding cities, state agencies and private projects,” according to MassDOT spokeswoman Sara Lavoie. But the bridgework, timed to finish after road repairs currently being done on Western Avenue wrap up, will continue to cause significant delays. 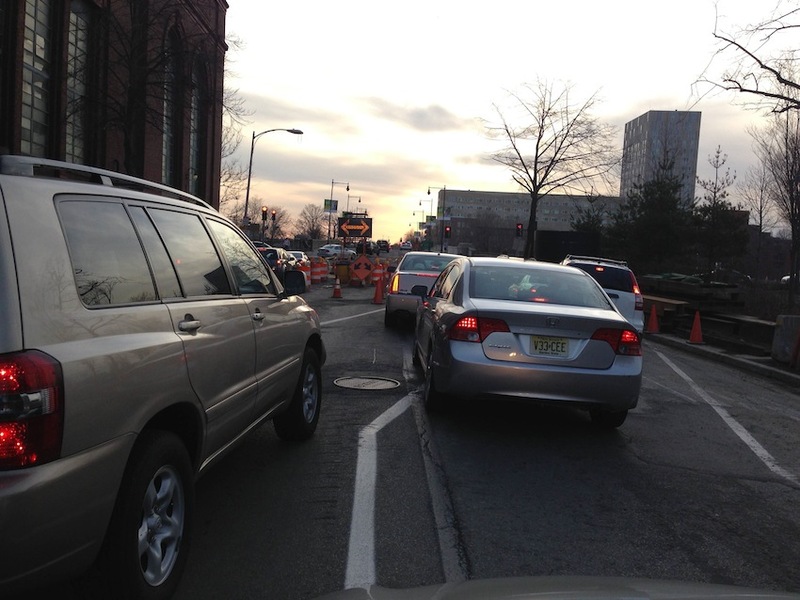 Although construction on the River Street and Western Avenue bridges is expected to start in the spring of 2014, ongoing work in that area by Cambridge’s Department of Public Works has already cut the road down to two lanes during the weekday, creating consistently heavy rush hour traffic. On the weekends, the road is diminished to one lane, and backups push vehicles all the way to Massachusetts Avenue.